When my children were little, we checked out a book from the library by Olive A. Wadsworth. 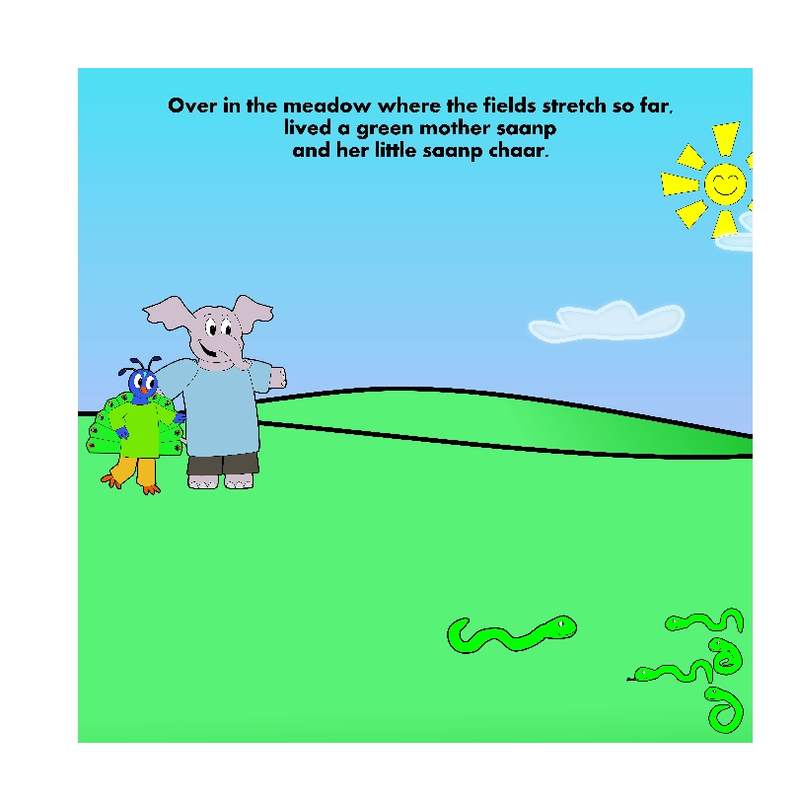 "Over in the Meadow" quickly became one of their favorite bedtime stories. 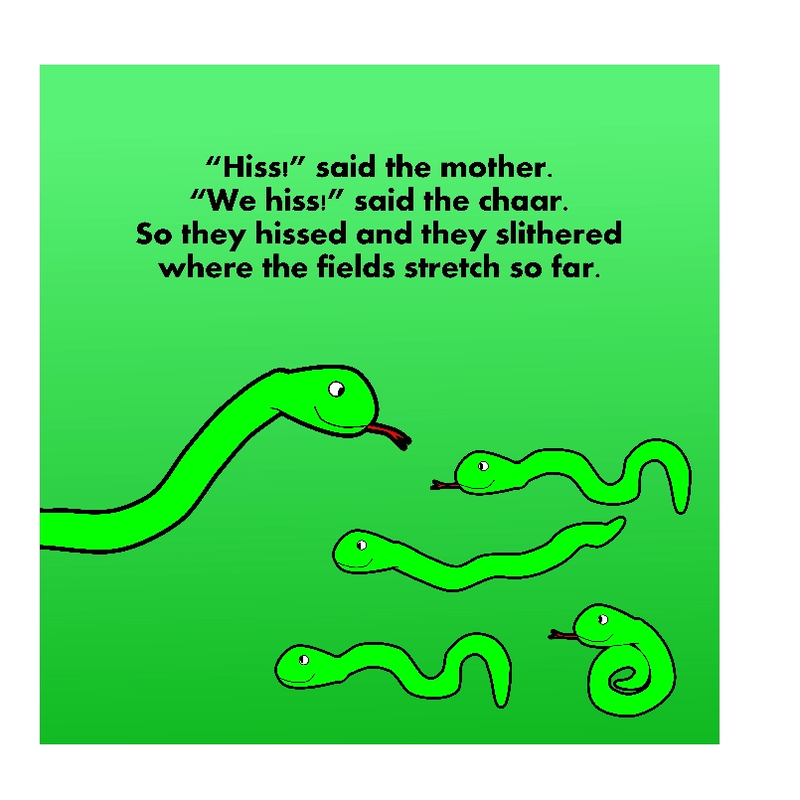 I enjoyed the classic nursery rhyme, too, and the sweet, gentle way in which it taught them to count using animal mothers and their babies. 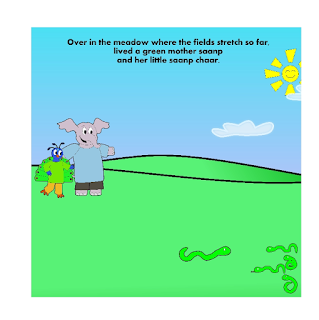 Since that rhyme was published back in the late 19th century, there have been numerous authors who have written their own stories based on the format of Wadsworth's famous poem. I recently had the opportunity to review a new book by author Najla Ahmad, who wrote her own version. 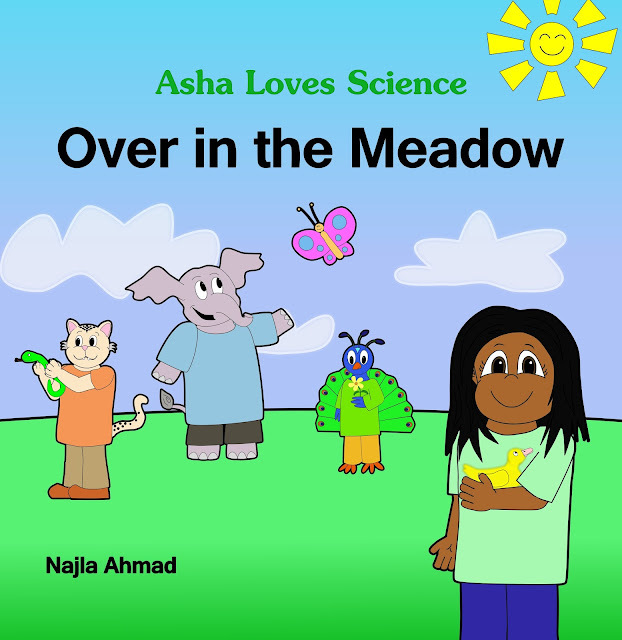 Asha Loves Science - Over in the Meadow is a book geared for young children, i.e., preschool, as it teaches them about animals and their habitats. It's very cleverly written; Ahmad rhymes both English and Urdu words, which I assume isn't easy to do! 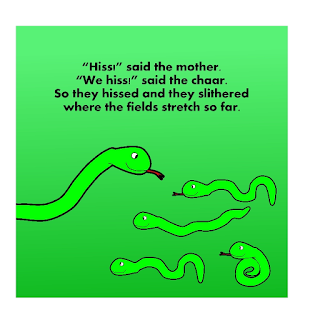 I'm not as fond of the illustrations, which I find to look very flat and computer generated. I prefer old fashioned art that is painted or drawn, but I suppose most kids would enjoy the story just as much either way. One thing I especially like, however, is the fact that the main character is a young girl named Asha. I like seeing science materials with female leads! I think it is encouraging for our girls. And I also like that Asha goes on her adventures with her animal friends; Panja (a Snow Leopard), Soond (an Asian Elephant), and Moor (an Indian peacock). Check out the YouTube video of this book! Asha Loves Science is a series of YouTube videos and children's books featuring science and South Asian-American culture and language. Asha Loves Science has its own YouTube channel with videos that teach children both science concepts and Urdu-Hindi words. Part of raising global citizens is introducing them to cultures and languages from around the world. I firmly believe that our children should be ready to learn something about all cultures and peoples. If you agree, and are looking for some resources to teach your child about Asian or Asian-American culture, check out this fun series. Disclosure: This post is written in collaboration with Multicultural Kid Blogs. All thoughts and opinions are my own.